River Island originates with the Lewis brothers, who developed a chain of stores after the Second World War. The brand became Chelsea Girl in the 1960s. It was the first chain of fashion boutiques in the UK. They also launched Concept Man for menswear, then merged the two brands into one in 1988. This was the creation of the River Island high street store. 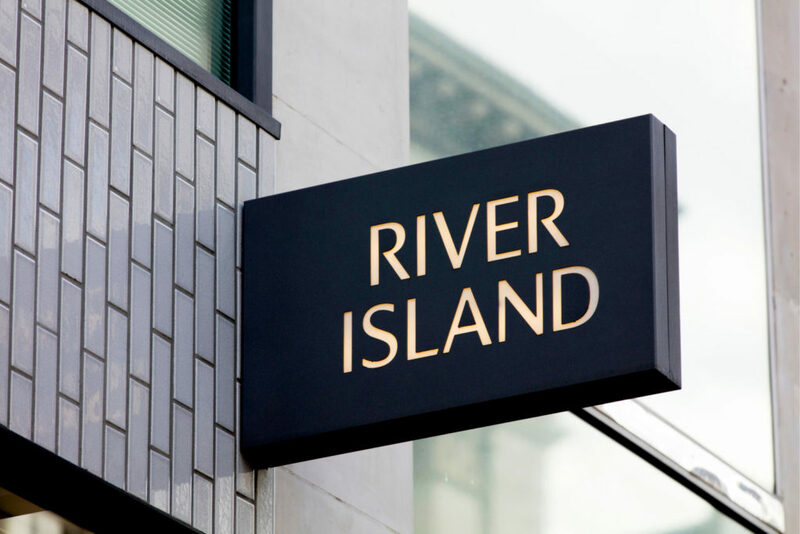 Today, River Island has hundreds of shops and online stores internationally. The brand also sells kidswear and homewares now. If you purchased something from River Island that you want to return, then read this page. It has all the information you need on how to return items to River Island, whether you shop online or instore. Whether you buy items online or in a store, you can return them to any River Island store within 28 days. You must present the receipt or delivery note to prove your entitlement to a refund. They will issue the refund back onto the original payment method. For online orders, they will also send an e-mail within 24 hours to confirm your return and refund. When you return instore after paying online through PayPal, they can refund you on the card linked to your PayPal account. Alternatively, they can process the refund for any debit or credit card in the name of the person on the delivery note. If you do not have a payment card, they will issue the refund onto a River Island gift card instead. They will offer a gift card or credit note for the current value of the item if you do not have a receipt for the product. Remember to always get a postage receipt as proof of your return in case the parcel goes missing on its way back. The only stores that accept returns for online orders internationally are River Island stores in the UK, Ireland, and Sweden. If you order from the UK website for delivery outside the UK, then River Island will not cover the cost of international returns. They will also not cover the cost of any customs charges. The standard returns policy applies. You will still have 28 days to return items. International post will obviously take longer, so allow time for this. You’ll have to pay for tracked international postage yourself and keep the receipt to prove that you sent the parcel back. If you return instore, then you will receive your refund in the local currency (British pounds, Euros, or Swedish Krona). Exchanges are only available at stores in the UK, Ireland, and Sweden. However, stores in Ireland cannot exchange online orders. Exchanges for online orders should also be available at stores in Belgium and the Netherlands. You will need your receipt or delivery note as proof of purchase and the item must be in a resellable condition, in line with their returns policy. Exchanges are also dependent on stock availability at the local store. If you are unable to get an exchange, you can choose to get a refund after all. They may only be able to issue a refund or exchange for the current value of the item in that store, which could be much less than the original price. Alternatively, you can return online orders by post for a refund of the amount that you paid. River Island doesn’t offer exchanges by post. When you return something to a River Island store, they will process the refund immediately in the local currency. However, it can take 3 to 5 working days for your bank to process your refund before the credit appears on your account. When you return a package to River Island by post, it can take them up to 14 days to process the return. They will send an e-mail to confirm your refund when they process it at their distribution centre. The money will go back to the payment method that you used to place the order. This will be the original debit or credit card or PayPal account. If you paid by gift card, then they will send an e-gift card to your e-mail address with the refund value on it.